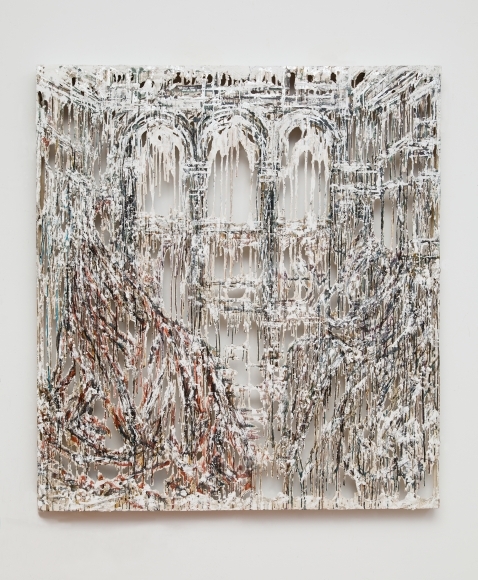 Diana Al Hadid (Aleppo, Syria b.1981) is a contemporary artist based in Brooklyn, New York. Her work spans from sculptures to installations, panels and drawings, and executed through the most unconventional mediums. Al Hadid mainly uses industrial materials such as fiberglass, polymer, plaster and steel to emphasize form and create her post apocalyptic cityscapes and anatomical figures with the intricate labyrinths and ruinous quality that she upholds. From growing up in Syria and moving to the United States at a young age; this allowed Diana's work to bridge and unify both the Eastern and Western cultures together. She's inspired by gothic architecture, biblical and mythological chronicles, Arabic calligraphy and Islamic patterns. Her methodical and daring experimentations ultimately connect different cultures, places, eras and disciplines under one and thus challenges our views on traditional sculptures. And with her signature gravity defying, convoluted and other-worldly work, she presents an invitation to viewers to contemplate the human condition. 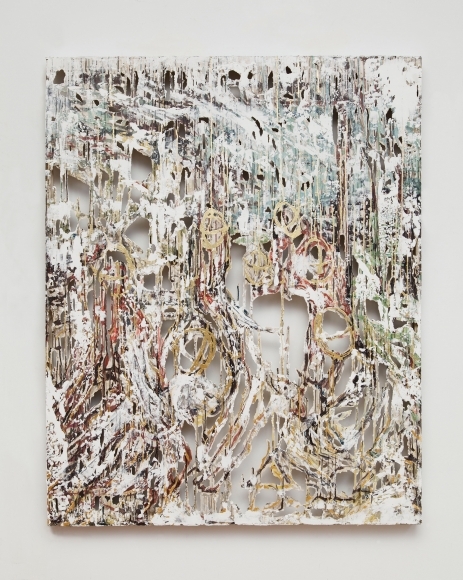 For more on Diana Al Hadid, visit her website here. What did you think about this weeks artist? Comment your thoughts!